The HOLIDAY VIDEO PLAYLIST Is Here! 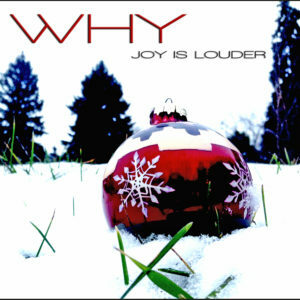 WHY released the Official Video for their new Christmas song “Joy Is Louder”. A song written to bring people together in a very divided world. So 2 days in studio and a 24hr mix and master by Steve Green at GREENEGG STUDIO and it’s here. Available Now For Purchase on CDBABY and iTUNES Monday. The guys are working hard to get the new single (or singles) out. WHY faces weeks of recording at GREENEGG Studio with producer Steve Green. WHY were band in their demo studio prepping to record with producer Steve Green at GREENEGG STUDIO in Winnipeg. And 2 new songs arrived. WHY’s Jeremy Dell (lead guitar) and Brian Cook (singer) were in the demo studio last night. “We were supposed to be wrapping up prep production on the new single so we can get in GREENEGG STUDIO to lay down bed tracks. But then Jeremy had a new song come to him so boom we have another new song” explained Brian. WHY had their first meeting with their producer Steve Green at GREENEGG STUDIO. Expect the first single from WHY’s forthcoming album later in the Fall.